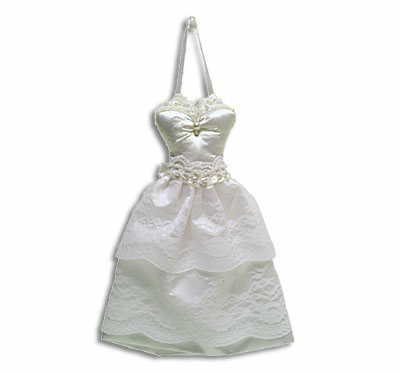 Isn't this the cutest and most unqiue gift for the bride or bride-to-be? She will LOVE this to grand-size sachet to scent her lingerie drawer or simply hang from a bureau drawer or mirror, to remind her of her special day...always. Measures approx. 10" with ribbon.